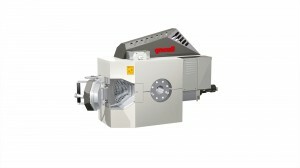 Since the last K Show, the Multi Rotation System extruder has established itself as one of the key technologies for processing PET reclaim without pre-drying. About 40 of these special extruders have been sold for sheet, fiber and repelletizing applications in Europe, Asia, North and South America. The extremely high devolatilizing and decontamination performance of this technology has convinced more and more processors. Thanks to the patented combination of single screw extruder with a multiple screw section, the extruder is particularly rugged, as well as easy to operate and maintain. All model sizes, from the MRS 35 for 35 kg/h to the MRS 200 for 2000 kg/h, have now been built and are in successful operation in various applications world-wide. These are not only PET processing applications, but there are also some references in polyamide and polyolefin processing.At this year’s K Show, one complete extrusion line and one Multi Rotation System Extruder MRS 160 with a throughput of 1.4 t/h will be on display. 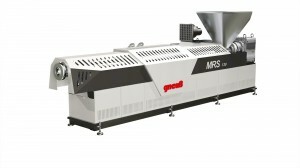 The extrusion line consists of a Multi Rotation System Extruder MRS 130, a Fully-Automatic Filtration System RSFgenius 200 and a Fully-Automatic Filtration System RSFgenius 250. This line has a tandem filtration system because it will process up to 1000 kg/h of PET bottle flake directly into continuous filament which requires 25 micron filtration. One major advantage of the MRS Extruder is that it permits the processing of PET without pre-drying but by using a simple water ring vacuum system to process the PET to a high quality product. This is achieved by means of its unique and patented processing section. Based on a conventional single screw extruder, the Multi Rotation Section (MRS) is a drum containing eight satellite single screws, driven by a ring gear and pinion transmission. The “barrels” cut into the drum are approximately 30 % open and provide optimum exposure of the melt. Thanks to this design, the devolatilizing performance is approx. fifty times greater than that of a conventional single screw extruder – and this at a vacuum of only 25 to 40 mbar. By avoiding the need for a high vacuum system and pre-drying, the MRS is an extremely economically efficient alternative to conventional technologies. Further arguments in its favor are the simple and rugged design, small footprint and flexibility. These are advantages which convince not only PET processors. In addition to the excellent devolatilizing performance, the MRS also offers excellent decontamination performance. Manufacturers can process e.g. up to 100 % PET bottle flake into end products for food contact (FDA LNO). This is achieved without the need for any treatment of the material before or after it is processed on the extruder (no restrictions on the washing process, no drying, no crystallizing etc.). With an extension of their Rotary Filter models, Gneuss Kunststofftechnik GmbH from Bad Oeynhausen/Germany will present a multitude of innovative developments in the sector of filtration technology. This is the first time that Gneuss will present such a variety of new filter models at a show. All these new models result from a long-term development initiative. The new models of fully-automatic, process-constant and pressure-constant Rotary Filtration Systems RSFgenius and SFXmagnus offer all technical advantages of high-performance filtration systems with a highly economic, innovative combination of the drive and self-cleaning concept. The RSFgenius M was especially designed for highly contaminated materials, such as in recycling processes, and it can cope with an increased throughput rate (25 % higher compared with the standard series). 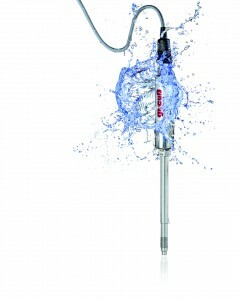 The innovative synchronization of the drive and back-flushing concept of the self-cleaning RSFgenius Rotary Filter drastically reduces the quantity of material lost through back-flushing and represents a further optimization of the unique self-cleaning technology. The SFXmagnus R offers for the first time in the SFXmagnus series an integrated self-cleaning of the filter elements and guarantees at the same time a constant process. This Rotary Filtration System has been designed for applications with a lower contamination level, among others in the recycling sector, where back-flushing makes sense, but where frequent back-flushing cycles are not absolutely necessary. A new system for PVC processing and PVC recycling is the SFpvc, which is tailored to these difficult applications, in which Gneuss traditionally has a high market share. This Rotary Filter distinguishes itself by an optimized process even with high surges of contamination and by a very robust drive technology. The Rotary Filter KR is based on a completely new design and combines the series of discontinuous screen changers with the proven concept of the Rotary Filtration Technology. Further, it convinces by its compact and robust design. As a mechanical engineering company, Gneuss Kunststofftechnik is always very close also to difficult applications and offers a number of problem-oriented sensor solutions for the customer. In food applications, regular cleaning of the machinery is absolutely necessary, so that sensors are often subject to steam or water jets. 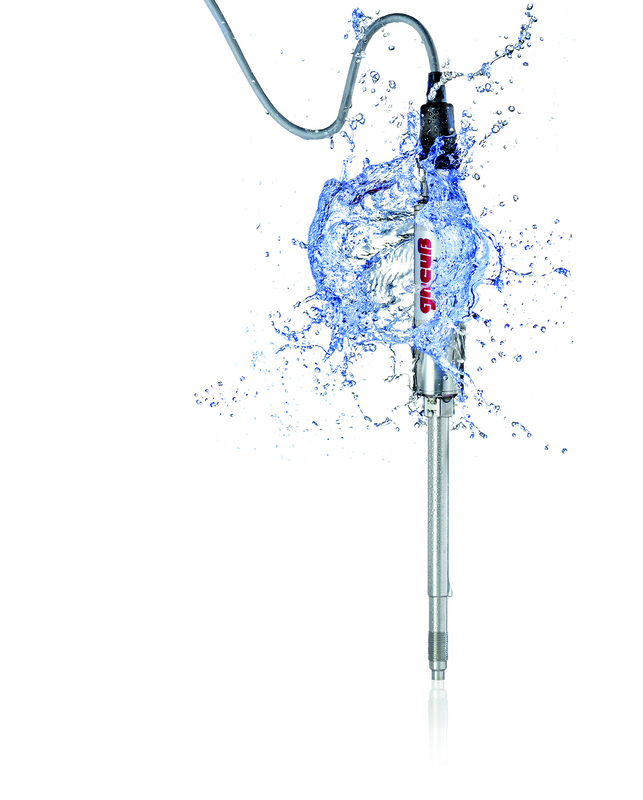 Gneuss has developed a special type of sensor for these applications, which remains water-proof even if its plug is removed. The processing of WPC (Wood Plastic Composite) makes an extremely rugged sensor necessary. This is why Gneuss has developed a special membrane technology offering a high strength for highly abrasive materials and a much longer operating life compared to conventional sensors. For especially difficult process conditions with short excess pressures, frequent pressure peaks as well as not melted components in the material, sensors are highly stressed. Gneuss supplies a special heavy-duty design of their sensors. For applications with limited installation space, e.g. for spinning beams or small lab lines, Gneuss offers a special design with minimum space requirements and M10 threads.